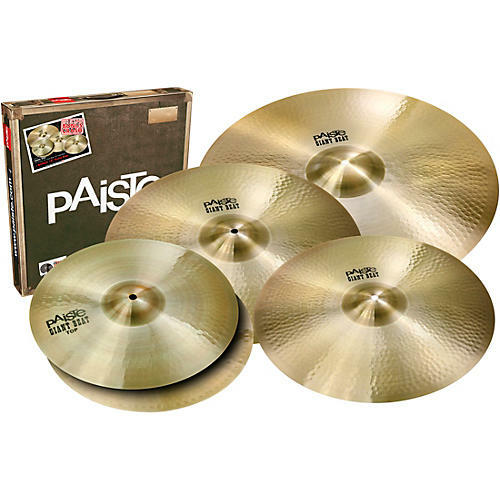 The Paiste Giant Beat Big Sound Cymbal Set gives you more of the classic Giant Beat sound for less. The set includes 15" Giant Beat Hi Hats, 20" and 24" Giant Beat cymbals and a FREE 18" Giant Beat cymbal. Beginning in the 1960s some of most iconic music in rock history has been made with Giant Beat cymbals. These are true “multi” inch cymbals that are able to work as crashes or rides equally well. This versatility gives drummers more sounds in one set.